Resulullah.org | The high ethics and good habits that are collected in his personality is a proof of his (PBUH) prophethood. 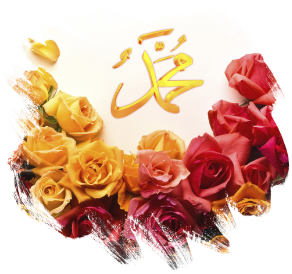 The high ethics and good habits that are collected in his personality is a proof of his (PBUH) prophethood. In the previous part, we have mentioned about that the prophet Muhammad (PBUH) was equipped with perfect ethics. Yes, everybody agrees that our beloved Prophet was created with high ethics. For he (PBUH) was directly disciplined by God and equipped with exemplary ethics. We will present a few examples from his perfect ethics. - He is unique in modesty. Though he is the most dignified human and master of the universe, there is no any example of his modesty. He used to do his own work at home, slept on firm ground, preferred sitting on the ground and gave up his seat when a visitor came. He used to ride his camel along with his servant in turns and grasp the leash while his servant was on it. He used to get pleasure by serving his companions and when a fire was to be set, He used to prefer the difficult task and collected woods. When people stood up with respect to him, he warned them and said he was “a human among other humans”. - He is unique in leadership. He has an understanding of leadership which encompasses the society in which he lives wholly from every aspect. He was equal with everyone in terms of social rights though he was leading them. His perfect leadership in battles where he was a commander impressed everyone. - His compassion is amazing. We sometimes see him while helping an orphan or satisfying a poor hungry man. This is so clear that he changed the route of his army in order not to disturb an animal on His way. Sometimes a camel or a companion resorts to his compassion; he shows the same kindness for the camel and seeks its right while listening to his companion’s trouble. There remained no one who could not get his share from his forgiveness. The assassins, murderers of his uncle or son and notorious enemies demand his mercy sooner or later and become his companions. - He is unique as a father. Despite all financial impossibilities, his treatment towards his spouses with love and mercy, his giving importance to his spouses as he listens to them and acting according to their advice, his treatment towards his children and grandsons as a reverend guests in a society where girls are buried alive, his unique and great treatment while playing with his grandsons, carrying them on his back is a proof of his (PBUH) prophethood. Due to the length of the topic, please refer to the section called “The Exemplary Ethics of the prophet”, where we tried our best to explain the ethics of the prophet (PBUH) for the continuation of this subject.